President Abdulla Yameen has officially inaugurated the ‘Dhaalu Airport’ in Kudahuvadhoo, Dhaalu atoll on Wednesday. The new airport is the biggest domestic airport in the Maldives. 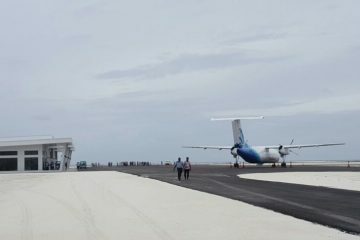 The national carrier of the Maldives, Maldivian, first operated a test flight to the Dhaalu Airport on June 1. It was developed after reclaiming 64.81 hectares of land from Kudahuvadhoo and features a 1,800-meter runway, which has the capacity for 42 aircrafts. The new airport also has a special area designated to park, and service private jets, and is the only airport in the Maldives that offers this service. The government had handed the development of ‘Dhaalu Airport’ to a private company named Reollo Investments based in the capital Male, in 2013. 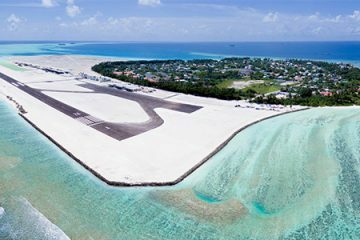 The operations of the new airport will be overseen by Dhaalu Airport Holdings Pvt Ltd, which is a subsidiary company of Roello Investments. Speaking on behalf of Roello Investments at the inauguration ceremony, Ahmed Latheef Adam said that newly developed state-of-the-art domestic airport will make travelling effortless for local travellers, as well as the tourists, and that it will have new features that will set it apart from other domestic airports in the Maldives. There are a total of 11 airports currently operating in the Maldives. The four international airports are: Velana International Airport (VIA) in the capital Male, Gan International Airport in the southern Addu City, Maamigili Aiport and Hanimaadhoo International Airport in the northern Haa Dhaalu atoll. 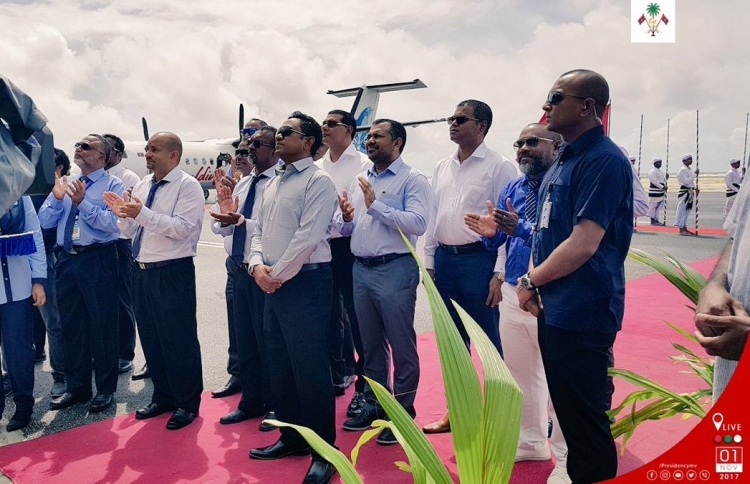 The islands that have domestic airports are: Dharavandhoo in Baa atoll, Ifuru in Raa atoll, Kooddoo in Gaafu Alif atoll, Kaadedhoo in Gaafu Dhaalu atoll, Kadhoo in Laamu atoll and Thimarafushi in Thaa atoll.